We are big fans of Shantae here at DDNet. Wayforward's pet franchise started out as a humble Game Boy Color title that was largely overlooked, then landed as digital downloads on Nintendo's handheld consoles, before finally making its way to the big screen via ports to consoles. 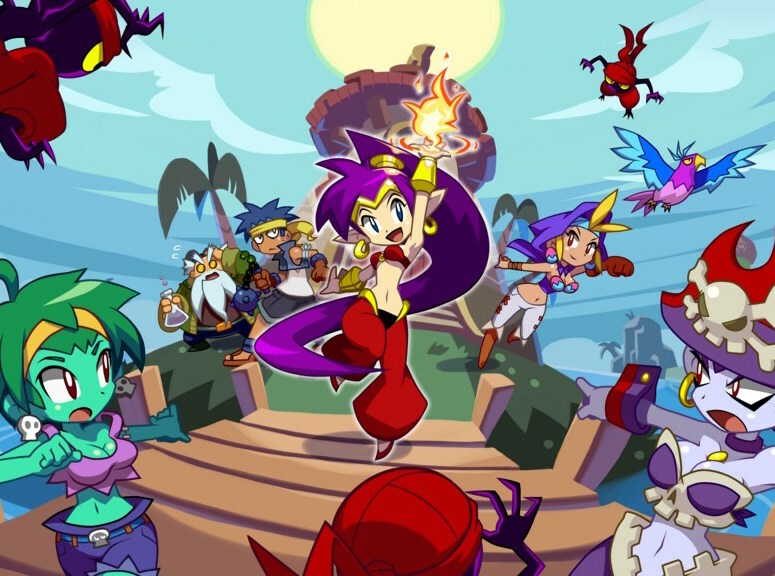 Related reading: Matt's review of the last game in the series; Shantae and the Pirate's Curse. And now, finally, Shantae is coming in HD. Shantae: Half Genie Hero is the first game in the series that has been built with consoles in mind, and that means slick, HD character art and animation, as well as the kinds of giant bosses, and active environments, that can only be possible through a game designed for a big screen and powerful hardware. This game looks really amazing. Shantae has always been a great character, but the quality of animation in this outing is taking her personality to an entirely new level. Platformer fans, meanwhile, will be happy to see that it looks like the game has some fangs, with what looks like some pretty challenging platforming sections in there. So, while I do wish that Wayforward saw the potential for Shantae to break away from the platformer genre and do something different (i.e. an RPG), this is one of my more anticipated games, simply because this developer really does care about its character, and every game in the Shantae series has done the whole fantasy Middle East theme such great justice.